Today in meditation, we will tap into the source of happiness that lives deep within each of us. In our practice today we invite inner joy and contentment into our daily activity. Together, we will discover that by accessing the source of joy inside, we access a sense of happiness that doesn’t vary with the ups and downs of everyday life. “Welcome to day 2, ‘Finding Happiness.’ What is your real experience of happiness? Is your happiness interrupted as things you desire come and go? True happiness is deeper than any one thing you may desire. True happiness, authentic happiness, it’s your birthright. You can feel happy or you can be happy. I’m here to tell you that you have the power to access and sustain deep lasting happiness, all the time. Today, instead of pursuing happiness from the outside in, we begin to cultivate the magnificent happiness that is already there, inside. We open up the wellspring that is waiting to flow. Go with that flow and the happiness within you, will emerge, with ease and abundance. Instead of feeling anxious about your desires, relax in the certainty that your deepest desires are leading you to the very best expression of yourself. Get still, listen… your inner voice is speaking to you and that my friends, is where your true happiness comes alive! Let’s get quiet and open up to the flow of happiness within as we listen to Deepak’s words. “Usually we think happiness comes from outside, from the object or experience that we take pleasure in. The external things in life can make us happier for a time, but that happiness may fade, as the luster of whatever external objects or circumstances we are focused on, fade. Today, we will access the source that allows us to sustain this joy. Note to Self: The actual meditation is only 10 minutes; give yourself fully to this moment. You can set your timer for exactly ten minutes and come back to complete today’s focus. DEEPAK:It’s time to release the mantra. Take some time to sit restfully, inhaling and exhaling slowly. When you are ready you can open your eyes. Write about a time when you were happy because you got something you wanted, like a new relationship, a new car, or a great job. Under that, write about another time when you were just as happy even though you didn’t have those things. What was the common feeling in both cases? Write about your state of mind. What was it about you that made you happy in both instances? Write down an experience you had this week when you felt happy for no special reason at all. Maybe you were walking home or eating lunch with a friend, and you noticed a quiet elation for simply being alive. This is your unfiltered core happiness shining through. Bring that memory and feeling back into your body with a few deep breaths, feeling it settle in the area of your lower abdomen as a ball of effervescent joy. Write down a description of how this happiness feels inside. Write about one thing in your life right now that you associate with happiness. It could be your grandson’s laughter, your beloved’s brown eyes, or the view of flowers in your garden. Whatever it is, connect that joyful experience with the bliss center in your lower abdomen and write down the full experience. Use this space to reflect further on your experience today. For a fuller experience, where you can gain full benefit of the connection and the energy tapped by Deepak and Oprah, visit the Chopra Center Meditation online store. The online store provides unlimited access to purchased meditations. You can access these exercises on multiple devices (Laptop, Desktop, Smartphone or Tablet). There are two options available. You can either stream them or access them in a downloadable version that do not require an internet connection, it’s completely up to you! 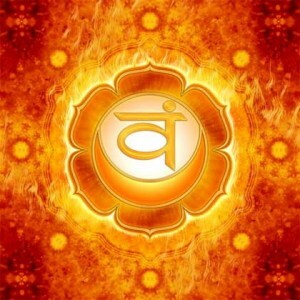 http://www.chopra.com/community/online-library/terms/chakras – To learn more about the Chakras and their seed sounds, color and Sanskrit terms. This link provides a quick overview.